The cultivation of internal martial arts is most effectively developed in solitary practice, but learning what and how to cultivate is most effectively learned via individual or group instruction, and research / collaboration as well. In this section, we offer interested persons various opportunities for communication and collaboration. On the 4th Saturday of April each year, the worldwide community of Qigong and Taiji organizations gets together in their respective locations to practice Qigong, Taijiquan and other martial arts. The annual event was organized by Bill Douglas in Kansas City. 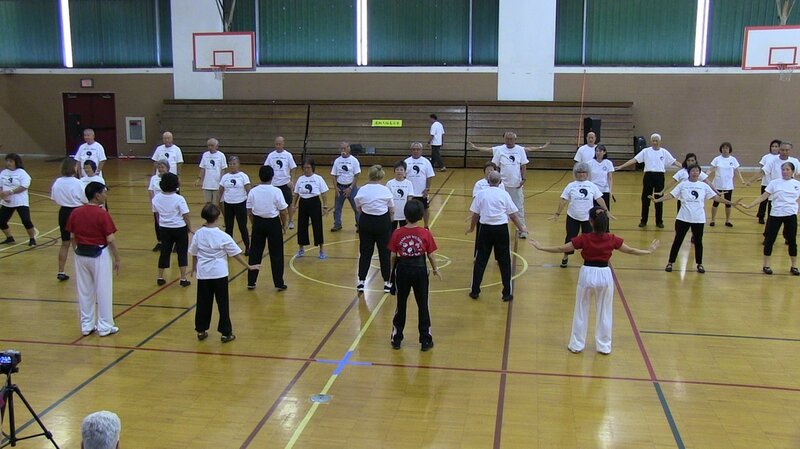 See World Tai Chi & Qigong Day for more information. ​In Honolulu, celebrations are held in several locations. The original festival was organized in 2010 at the Palama Settlement and in 2017, WTCQ was observed for the 8th year. Below is a photo taken at Palama on April 29th by Stuart, with a short video below it.